We did a reconnaissance swim in Lake Sonoma earlier in the week. The lake is enormous and the contrast of the turquoise water against the red, burnt landscape makes it seem particularly inviting. The day before the race it was announced that the water temperature was well above the wetsuit cutoff. Come race morning, however, it was announced that the lake had “cooled off” overnight. We found it a bit suspicious and reluctantly pulled on our wetsuits. The swim was two loops (1.2 miles each with an Australian exit in between): out under Warm Creek Springs Bridge, towards a small marina and then back under the bridge. The run from the lake to transition goes directly up a steep boat ramp. In fact, “ramp” isn’t even an appropriate word for this thing. It was slow and a little disorienting after crawling out of the water. Luckily the race had wetsuit strippers, however they were stationed at the very top of the “ramp.” T2 was otherwise uneventful and I was excited to get on my bike and get to work. The first half of the SR bike course, weaving its way south from Lake Sonoma through Sonoma county, was absolutely gorgeous. Vineyards stretched in every direction and the air was relatively cool and dry. Occasionally we would ride through a shady patch of redwoods or over a creek as we made our way towards Santa Rosa. The roads were beat up, more than I expected, but were manageable for the most part. There were several out-and-back sections that gave me a good opportunity to see how the race was unfolding up front and get a quick glimpse of Dave and Ann. The final 50 miles were comprised of two loops through and around Santa Rosa. With the exception of a couple pockets, the roads were somewhat busy and in a state of disrepair. As a result, the last couple hours felt even more fatiguing than usual, especially mentally. There was one flat, fast stretch through town that was packed with spectators (where Sue, Patti, Brian and Andy were stationed). Both times I passed through I got a little energy boost to keep me going for one more loop. 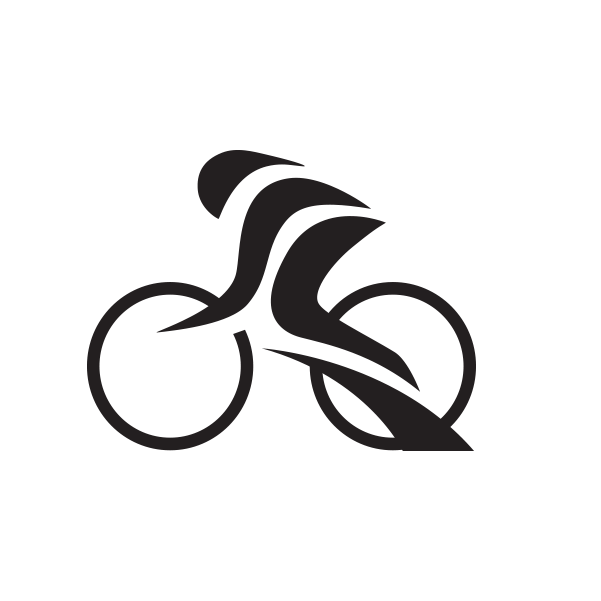 I completed the 112-mile bike leg in 4:55:40. Nothing notable to report. My legs felt more jello-y than my last IM, so I knew I could be in for a bit of a slog. I started the run around noon and it was hot in Santa Rosa. The midday sun was directly above us. The run course was three loops, most of which was on a partially paved bike/run path along Santa Rosa Creek with significant sun exposure. About half was coarse dirt and stone, which was challenging at times on tired legs. Mark was hiding out under an overpass and, as he’d done all day, had the most recent splits and positions ready to rattle off (thanks Mark!). The rest of the crew was waiting back in town. Just like the bike, seeing them each loop was the best little pick-me-up. I saw Ann once during the run. She absolutely gutted it out on that run course from start to finish and I’m still in awe at her perseverance. We shared some quick words about “this stupid sport,” I gave her a pat on the back and was on my way. There was one short out-and-back, which meant I got to see Dave a couple times. When I saw him around mile 14, he gave me the best smile he could muster (you know it’s rough when Dave isn’t smiling) and reminded me to “stay focused”—wise words and a testament to his experience in the sport. One of the questions I get most frequently is “what the heck do you think about for nine hours?” The answer always seems to surprise people. In order to succeed in this sport, you cannot think about much of anything beyond race execution. The moment you lose focus is the moment things start to unravel. It happens quickly and is unforgiving. When I saw Dave that first time, my mind had started to wander. The hot, hot sun, the uneven running path, the somewhat disorganized aid stations, my position in the race. There was a lot to be distracted by. I refocused and, to be honest, all I remember of the next 12 miles is “Run. Drink. Ice. Repeat.” I completed the run leg in 3:18:50. I finished Ironman Santa Rosa in a total time of 9 hours, 26 minutes and 19 seconds. I was 14th overall, 7th in my age group, and PRed by 41 minutes over my performance in Mont Tremblant last year. You get out of this sport what you put in and it is incredibly rewarding to see the last year of really hard work bearing fruit. The process of training for these races and pushing limits is beautifully fulfilling. There is no glory in those long, lonely training days, but days like this make it all worth it. This sport has become an enormous part of who I am, which makes Saturday’s success gratifying on a deeply personal level. No, I didn’t snag a spot in Kona (the perennial IM world championship held on the Big Island). For those that aren’t familiar with how it works, the qualification process for Kona is super unique and elusive. It’s all about who shows up in your age group and how hard they race. Finish time and overall standing are of no consequence. Both this year and last, history suggested I’d be in the running for a slot with plenty of room to spare. Some people say that’s unfair, but that’s not how I feel. The process and the rules are clear. Six guys in my age group toed the line on Saturday and proved they were better prepared and able to push themselves closer to the edge than I was. The difficulty of competing for Kona slots lies in the ability to separate dreams from goals, desires from objectives. To go into an IM with that singular goal is to set yourself up for disappointment, so I’ve always tried to treat it as secondary even though it is indeed a big dream. Ellen Johnson Sirleaf said “if your dreams don’t scare you, they aren’t big enough.” The dream of earning a spot on that start line scares me. It scares me that this likely won’t be the last time I have to grapple with the bittersweet reality of executing beyond my own expectations but still falling short and it scares me to see just how deep I’ll have to dig in order to someday do it. But when it does happen, and I know someday it will, it will taste that much sweeter. The Revel Racing crew had a knockout day. Thanks to everyone’s hard work, we took home 1st place in our club division!